That pretty much sums up September for me. I entered August with a bang, and attacked each day with enthusiasm. Then September showed up, and my enthusiasm waned.... until I hit what I considered to be rock bottom. Looking back at September, I was suffering from some pretty serious burnout. The more I tried to make myself go, go, go, the more I didn't want to. So I backslid. Hard. So much so that I didn't even want to write about September because I was disappointed in myself. Plus, I didn't want to dedicate an entire blog post to sharing all of the cool things I had discovered, while being dishonest with you all (and myself) about the work that I was actually putting in (or lack thereof). There were some good workouts done in September, along with a few decent meals. But overwhelmingly, I felt myself slipping back into those bad habits that stall progress. You know which ones I'm talking about -- Chocolate. Eating late. French fries. Hooters wings. Not going to the gym. I'm not going to be embarrassed or feel bad, because I believe in owning my truth. I messed up in September ya'll, and there's no way around it. There's also no way to go back in time and get what was lost. My only resolution is to move on! That's where October comes in. I spent some time assessing why September was so horrible for me, and I came to the realization that I was trying to do absolutely too darn much while being under a lot of stress. Working out every day is is taxing in and of itself, and when mixed in with trying to balance work (and the commute from hell) alongside all my other interests and obligations, I got overwhelmed. Throughout October, I spent more time being intentional about reducing stress. While there were some things I couldn't control (hello, 405 during rush hour), I realized there were things I could control. I could control how I reacted to stressful situations. I could control what I ate. I could control how much time I spent with God. I could control the intensity of my workouts. I could control being more mindful and present in my relationships. I could control my perspective. 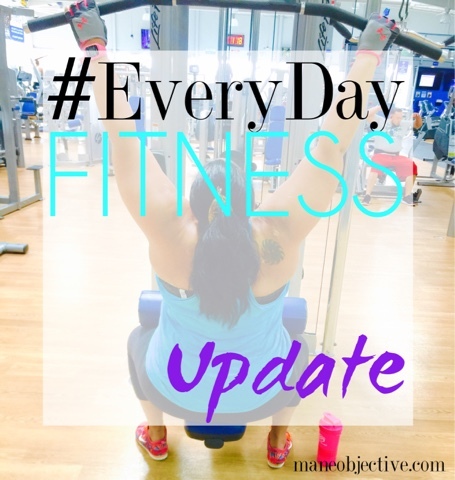 Little by little, the pieces began to fall into place, and I found myself reaching a happy place within #EveryDayFitness, and remembering why I issued the challenge to myself to begin with. #EveryDayFitness isn't a race to be an Instagram fitness model. #EveryDayFitness isn't about putting myself on a pedestal and preaching to everyone. #EveryDayFitness is about being a better version of myself in every way imagineable. I won't make this a long and drawn out post, but I wanted to let you all know that as November picks up steam, I've recalibrated, refreshed, and renewed. I'm making some changes for the better, and I'm stepping my game up across the board. I can't be satisfied with my own status quo. 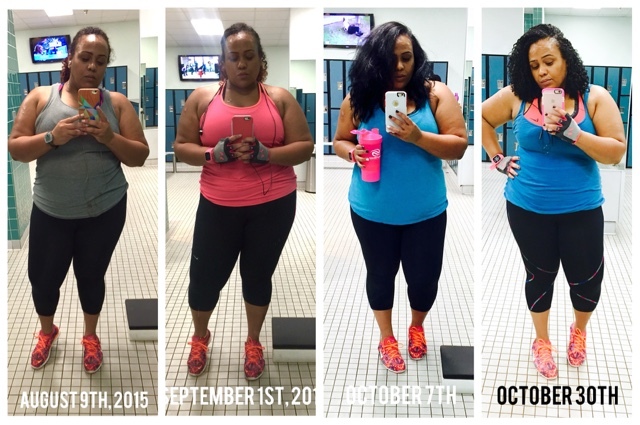 Have you ever started a fitness journey and fallen off the wagon? What was the kick that jumpstarted you back on track? Share with me in the comments below -- right past the "You Might Also Like" section! Yup, that was definitely me this October. I realized I wasn't perfect & that I shouldn't beat myself up. I've reassessed and I've been making sure to stay motivated by others (I use an app called PumpUp) including you! I've been on an #NoExcusesNovember fitness life & just like you it doesn't always mean physical fitness for me, it's just being healthy in ALL ways. Thanks for the inspiring post! Fitess is now an important part of our life and workout is really important to stay healthy. Our full dedication definitely bring us the desired results. Keep it up!!! Very interesting and inspiring post. Your workout porgress is very appreciable and definitely a motivation to all who wants to stay fit and thinking of staring workout. Nice!! Health is most important expect which everyone should consider as a first priority. Our health is very precious and we should not waste it. In humans it is the ability of individuals or communities to adapt and self-manage when facing physical, mental, psychological and social changes with environment. So fitness is very important and for that we should always prefer good supplements like best muscle gain supplement.Its totally natural and does not contain any side effects to the body. I have no words to describe your blog. I am very impressed.